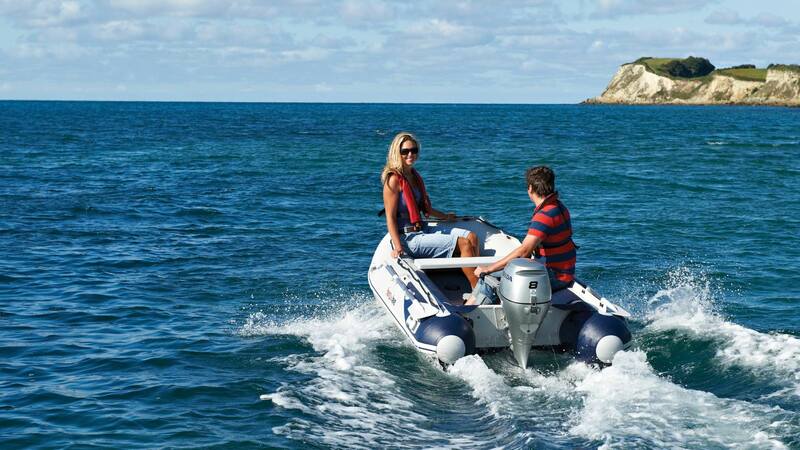 With a range of Honwave inflatable models available from Farndon Marina, East Midlands premier Honda Marine dealership, we can help you choose the best portable watercraft for your needs. Professional, experienced advice on outboard engines through to crew capacity, deck types & length options across the complete range of Honwave inflatables & accessories. Perfect for Rivers, Lakes & Coastal use. Out on the water can be a harsh environment... No matter your boating preferences, whether river, lake, or coastal, you can be sure the Honwave range of inflatable craft will endure. From the compact and ultralight slatted deck models, or rugged, safe cruising aluminium-deck choices to the light and fast Honwave air V-floor - all Honwave models are constructed to ensure durability & performance. As the premier Honwave dealership for the East Midlands, our team are available 7 days a week to help with all Honwave inflatable or accessories enquiries. In addition to helping you choose and order the best Honwave model for your needs, we can provide assistance with practical advice around hassle-free assembly or folding & storage of your new inflatable. As one of the largest Honda Marine dealerships in the Midlands, we offer professional help across sales, service & maintenance for your Honwave. So, from the Honwave Slatted Deck, through to the light & fast Honwave Air V-Floor models, get in touch with the team today! We carry an excellent range of stock at our on-site full service chandlery here in Farndon near Newark Upon Trent, or give us a call 7 days a week to discuss your requirements and for the latest deals available. Contact Farndon Marina to check stock and order your Honwave today!